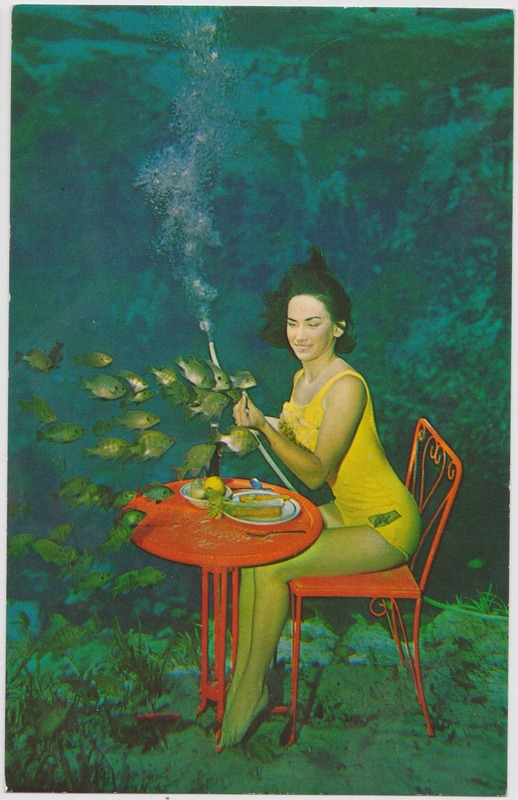 I went to Weeki-Wachee Spring with my ex-mother-in-law the year before she was my mother-in-law. It was my first ever vacation where I stayed in a real hotel, not a cabin with kitchenette. I had visions of ordering room service like in the movies, which were dashed when I discovered it costs money. But I loved the mermaids. When NOAA announced mermaids don't exist last year, I was furious. I had seen them with my own eyes. Thank goodness the fine people at Animal Planet produced that wonderful documentary that aired last week to prove once and for all mermaids exist. I'm looking forward to the unicorn documentary next year.